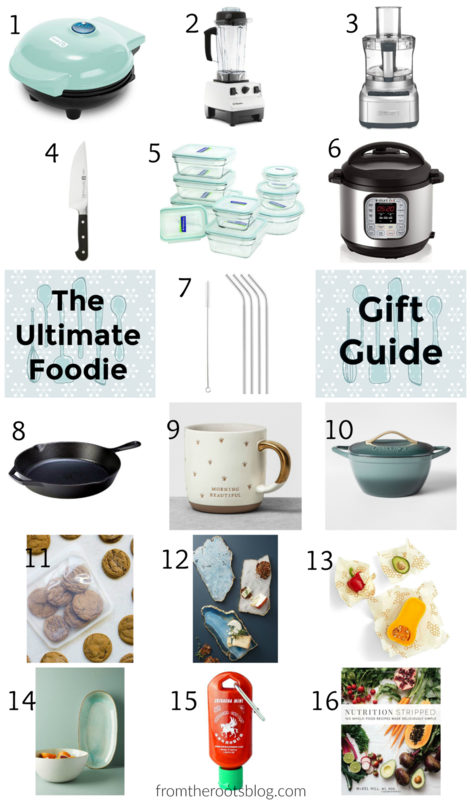 From stocking stuffers to fun splurges, we have it all! Adidas Ultraboost Shoes - Currently on my Christmas wishlist! This shoe is great if you are a neutral runner. Athleta Cozy Karma Asymmetrical Pullover - Because, who doesn't like a good cozy pullover! Skylar perfumes - Currently my favorite clean, hypoallergenic, and cruelty-free perfume. I know I'm weird, but I have to smell good before a workout. It just makes me think that I won't smell like nasty sweat afterward! Lol, my favorite scent is coral! Further Food Turmeric Tonic - This powder is great to make instant golden lattes! Bonus, it's made with natural anti-inflammatory & immune boosting ingredients. A win for those really heavy workouts! Here is a discount code for 10% off your first purchase, FROMTHEROOTSBLOG10. Hair Ties - Great as a stocking stuffer! Gaiam Yoga Mat - Great for the yogi and they have many patterns! Mario Badescu Facial Mist - I love these inexpensive mists for post-workouts. Feels refreshing and smells heavenly! Vooray Workout Bag - The cutest yet functional and affordable workout bag I have seen. Currently on my Christmas wish list! Elite Surge Jump Rope - If you are a Crossfitter and/or do DU's (double unders), then you will love this jump rope! Personally, I wouldn't get this style if you are just jumping rope as a warm up because the string is very thin=rope burns! RX Bars - Great to throw in your workout bag for a pre or post workout snack! Natural Vitality - Anti-stress powder that is great in restoring healthy magnesium levels, supporting a healthy immune system, and keeping bones strong. Magnesium is an essential mineral that supports blood sugar levels, promotes normal blood pressure, and is required for producing and storing energy. I love taking this supplement after a long run, when I'm stressed, or if I'm having trouble sleeping. Mountain Ocean Skin Trip Moisturizer - This is the only lotion I use! Hands down, the best moisturizer I have ever owned. It also has a very subtle coconutty beach water smell. Knockout Leggins by VS - Best workout leggings ever and bonus, they have pockets! Qalo Wedding band - Whether you are engaged or married, these inexpensive rings are great to wear at the gym especially if you do weightlifting, gymnastics, or CrossFit type workouts. Sports Research Collagen Peptides - Collagen is an important nutrient needed to ensure the health of your skin, hair, cartilage, joints, and bones. I like to add a scoop of collagen with MCT oil in my coffee every morning. 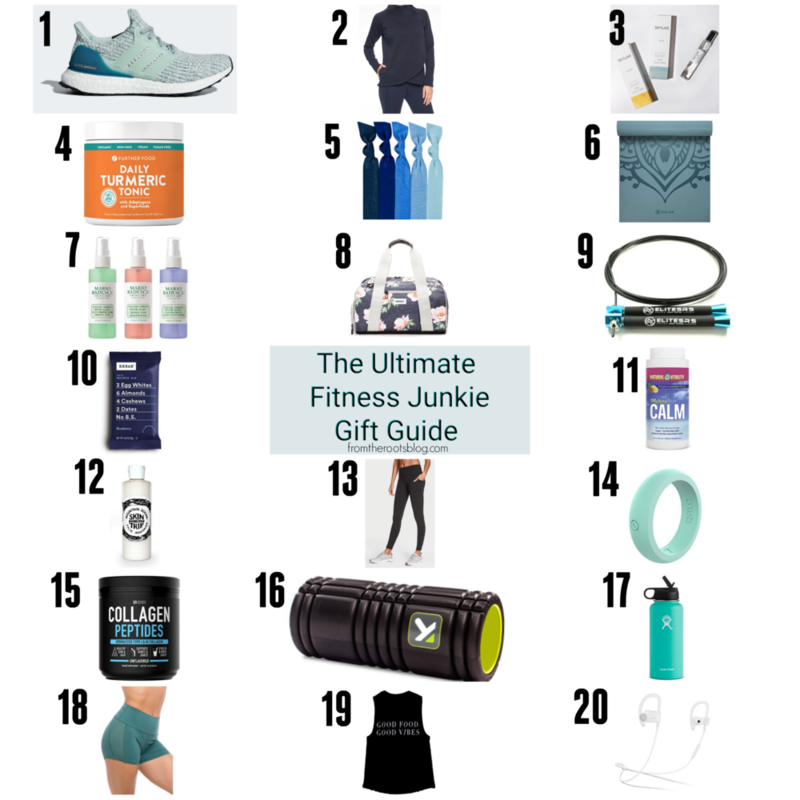 Foam Roller - Because, who doesn't love a good foam roller! Hydro Flask water bottle - Little pricey but worth every penny! Has a BPA free straw lid and double-walled, insulated which means water stays cold for up to 24 hours, what!? IABMFG shorts - If you can’t seem to find squat proof workout shorts then look no further. I love this particular style because of the fabric and length but they also have many fun patterns and different inseam lengths. One pair is expensive but this website is always giving out really good discounts! Nutrition Stripped Good Food Good Vibes t-shirt - Great to workout in because it is lightweight, breathable, and sends positive vibes! Beats PowerBeats 3 Bluetooth Wireless Headphones - By far, the best pair of headphones. I have gone through many, let me tell you, but these bad boys will stay in your ears through long runs, heavy HIIT and cardio sessions and just casually walking the dog.